Pathologic changes of the visceral arteries can lead to clinically demonstrable disorders of the gastrointestinal tract and the parenchymatous organs. In the days before angiography, ante-mortem diagnosis of acute occlusions was mostly made during exploratory laparotomy, while chronic obliterative processes generally escaped notice until autopsy. 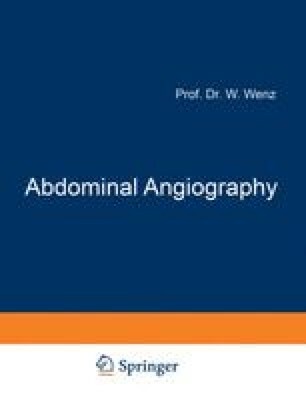 This inability to arrive at a timely and exact diagnosis and institute effective therapy accounts for the lack of interest in abdominal blood flow disturbances that persisted for a long time.